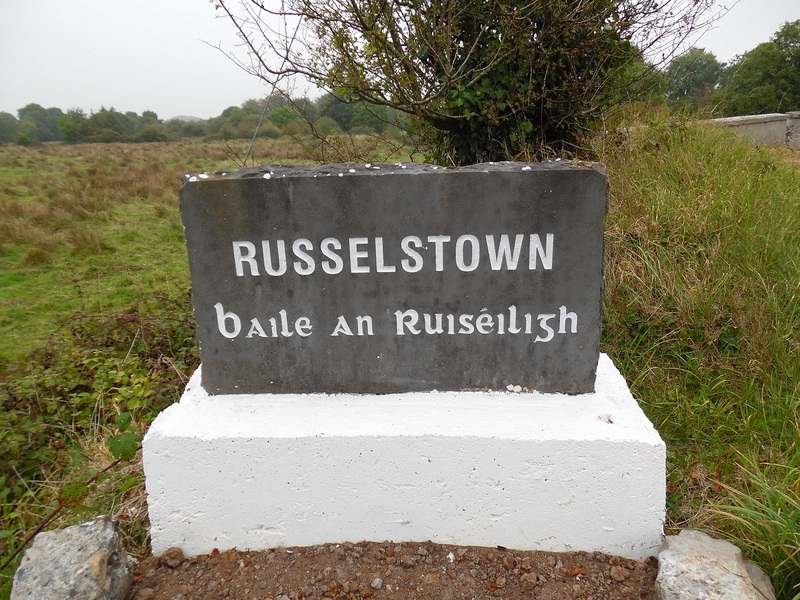 There are 3 monuments in Russelstown, 1 Ringfort (rath), 1 Enclosure and 1 Children’s Burial Ground. The first monument is a ringfort (rath) lies on a slight rise in otherwise level grassland. The National Monument Archaeological Survey states that it is a poorly preserved circular rath (D 20m) defined by two banks and an intervening fosse. No visible surface trace of the enclosing elements survives from East through South to West. A number of small hollows occupy the South half of interior. The third monument is an Enclosure which lies on top of a hillock in undulating pastureland. Marked on 3rd ed. of OS 6-inch map (1932) as a circular enclosure (Diameter c. 30m) cut by field banks at Southwest and Northwest. No visible surface trace survives.